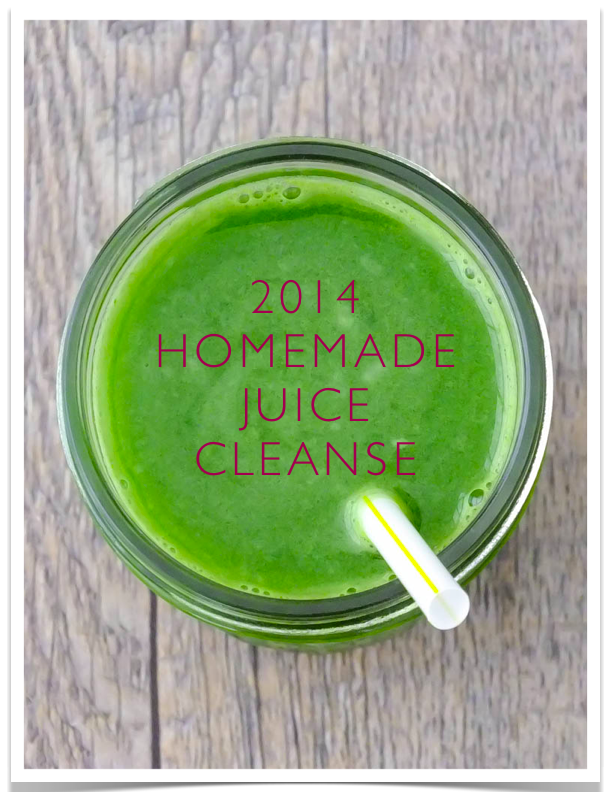 START FRESH: 2014 Homemade Juice Cleanse! At one's best, the body is designed to detoxify, cleanse and heal itself. Our liver, kidneys and intestines filter the unwanted things we ingest and expel them through urine, bowel movements, breath and sweat . . . But it takes almost 18 hours for your body to digest and eliminate one meal. After three to five meals a day, for however many years old you are, your digestive system has been working nonstop to keep up! And that's just for food. We haven't even gotten into the pollution, stress, excessive exercise, etc.! When you fast or do a juice cleanse, you shut down digestion so all your energy can go toward healing your body at a deeper level (your cells, tissues, and organs). Juice cleansing is the only way to completely rest the digestive track and still infuse the body with enzymes, vitamins, minerals and organic water. Fasting can be a way to jump-start weight loss, detox, and remedy myriad physical ailments. 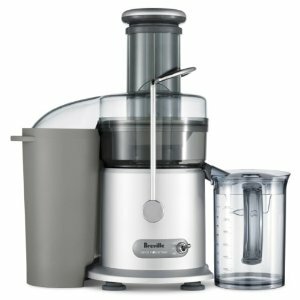 To get the FULL benefits of juicing, juices must be freshly made and unpasteurized. Most packaged juices (unless freshly made) go through a pasteurization process. They do this for an extended shelf life and to kill any pathogens that can live on raw food. However, the downside is that they kill the live enzymes that our important for cell repair. For homemade juices, make sure to scrub your veggies and drink your juice as soon as possible. Enzymes in the juice begin to degrade immediately after the juice is exposed to air, so the BEST way to drink them is immediately after juicing. If you need to make juice ahead of time, freeze or refrigerate juice in an airtight container. Try not to make more than enough for the current day. This way you will receive full benefits. Did I mention you will probably save about half the money it costs to buy a juice cleanse?? 6 Juices per day. 1-3 Days. For a less severe transition, avoid unnatural foods and animal products 2-3 days before your fast. 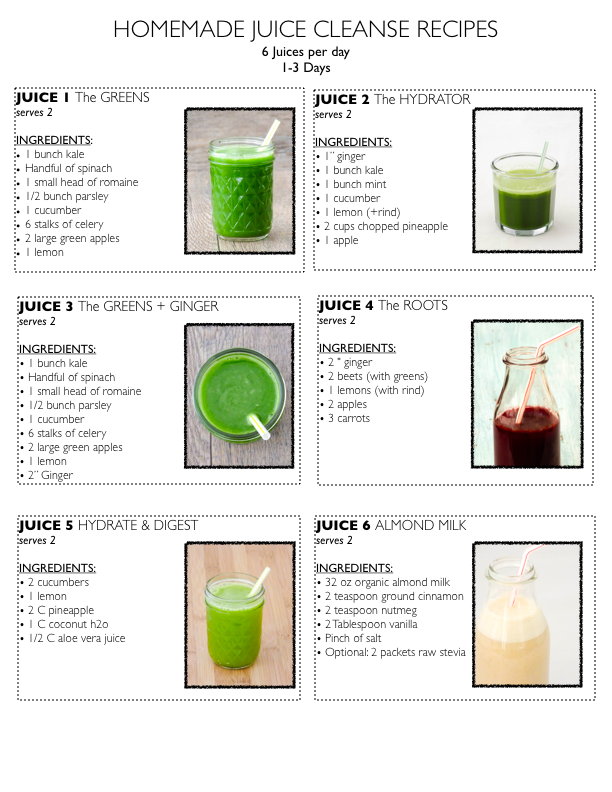 For your first real fast or juice cleanse, drink 6 juices per day, for 1-3 Days. Break your juice cleanse by eating small amounts of raw vegetables. Try not to over eat when you brake your cleanse. For the next two days after, I suggest mainly raw fruits and raw or steamed vegetables to transition back into a healthy diet and exercise. Plan fun, non-food activities: movies, walks, projects, etc.! Fast with a friend so you can motivate each other. Go to the farmers market together and make sure to talk or meet everyday. Take a spa day. Nothing will distract you quite like a massage, so take time to reward yourself. You are doing something good for yourself! At night, take a long walk, bath, or rent a great movie. You will free up a ton of time you would normally be spending on food preparation. Use this time to get important tasks done! Remember, food will be there when you're done with the cleanse! Consult your health care provider before starting any cleanse program. People undergoing chemotherapy, diabetics, people with nutritional deficiencies and people with kidney disease should not try a juice fast. **Please keep in mind that cleanse programs are NOT appropriate for children under 18 and those who are pregnant, breastfeeding, or suffer from certain medical conditions.